Blood islands are cell aggregates in the early embryo, which first appear in the human yolk sac at approximately day 13-15 of gestation. Blood islands give rise to vascular endothelia and blood cells. The blood islands is comprised of a loose inner mass of embryonic hematopoietic precursor cells and an outer luminal layer of angioblasts. 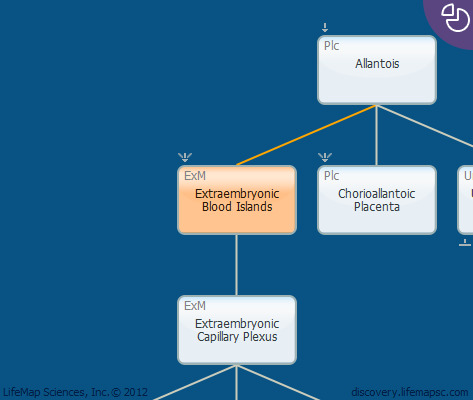 The formation of blood islands in the yolk sac is a critical step in amniotic development.